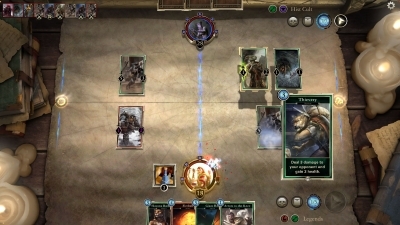 The Elder Scrolls: Legends is an extremely entertaining card game. It is free and can be downloaded here. 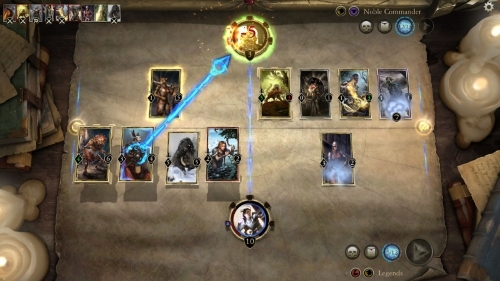 The game is set in the familiar and loved Elder Scrolls universe. The cards are based on characters that you definitely have met if you played this game series. It has been developed by Berthesda, who for many years has released award-winning computer games. Like the Blizzard Entertainments 'Hearthstone' they try out in the free games world. But do not worry, because even though the games immediately resemble each other. Then they are very different. 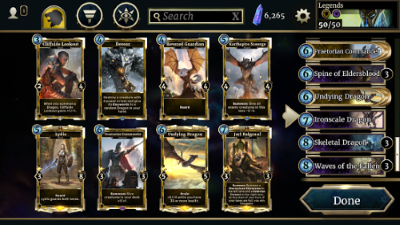 The Elder Scrolls: Legends are easy to get into, you get all the guidance you need. You have a lot of different cards, so you can always customize and change your own personal strategy. And there are a lot of opportunities to create challenging deck tires. The cards are very profound and very unique. The Elder Scrolls: Legends, however, have a rather dark and dark theme over Hearthstone. But it just makes the game a little extra exciting and catchy. The gloomy theme fits Berthesda. In conclusion, we can say that Berthesda has managed to develop an outstanding free game. It is definitely worth a try. 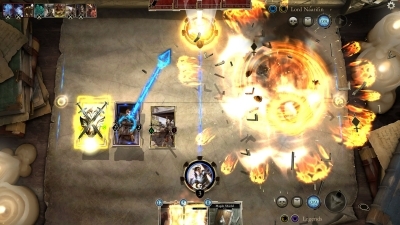 Find The Elder Scrolls: Legends, mark it and choose "Uninstall"
Should The Elder Scrolls: Legends has been damaged or corrupted and thereby difficult to remove we can recommend you finding help to uninstall it here.